Nine generations ago, the island of Betony was conquered by the Seamount Orcs, who renamed it Betnikh. A proud, self-reliant people, the Orcs fiercely protect their new home from incursion by outsiders. Betnikh is a small island off the southern tip of High Rock, with steep cliffs and a lush, fertile interior. Formerly owned by the Bretons, the island of Betony was conquered by the Orcs of the Seamount Clan centuries ago, and renamed Betnikh. The clan still inhabits the main stronghold, the Stonetooth Fortress. The Bloodthorn Plot: Retrieve a stolen object and discover why it was stolen. Into the Hills: Learn more about the evil on Betnikh. Tormented Souls: Find out why the dead have started to rise in an abandoned ruin. Carzog's Demise: Learn about an ancient and powerful Ayleid relic. On to Glenumbra: Continue on to the peninsular city of Daggerfall. Daughter of Seamount: Help a young Orc learn her place. Farsight: Visit Orcish shrines on Betnikh to see visions of the future. Prove Your Worth: Beat the Seamount hunters in duels. 5 items: Increases your Max Health, Magicka, and Stamina by 14-1250. 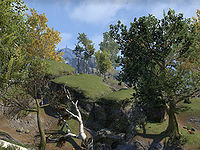 Betnikh can be reached by talking to the Boatswain Gilzir at the Daggerfall Harbor District (Glenumbra) or the docks of Port Hunding (Stros M'Kai). 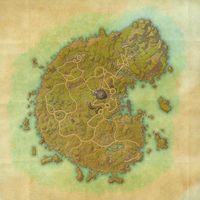 Note however that the map of Daggerfall says he only goes to Stros M'Kai. Prior to Update 13, Betnikh was the only zone (other than Coldharbour) that could not be reached by normal means without completing quests in the previous zone. The only other way to get here before finishing the Stros M'Kai quest line was by teleporting to another player in your friends list, group, or guild(s). This page was last modified on 12 June 2018, at 03:49.